In 2003, scientists from NASA’s Goddard Space Center made the first-ever detection of trace amounts of methane in Mars’ atmosphere, a find which was confirmed a year later by the ESA’s Mars Express orbiter. In December of 2014, the Curiosity rover detected a tenfold spike of methane at the base of Mount Sharp, and later uncovered evidence that Mars has a seasonal methane cycle, where levels peak in the late northern summer. Since it’s discovery, the existence of methane on Mars has been considered one of the strongest lines of evidence for the existence of past or present life. 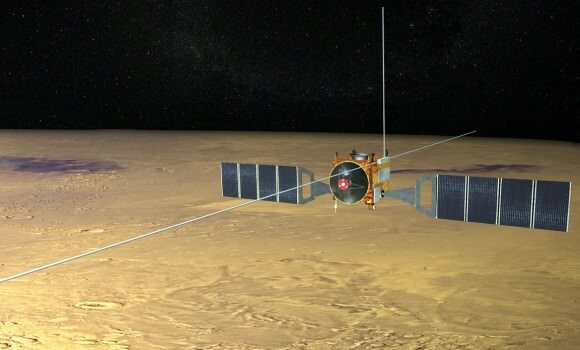 So it was quite the downer last week (on Dec. 12th) when the science team behind one of the ESA’s ExoMars Trace Gas Orbiter (TGO) spectrometers announced that they had found no traces of methane in Mars’ atmosphere. In March of 2016, the European Space Agency (ESA) launched the ExoMars (Exobiology on Mars) mission into space. 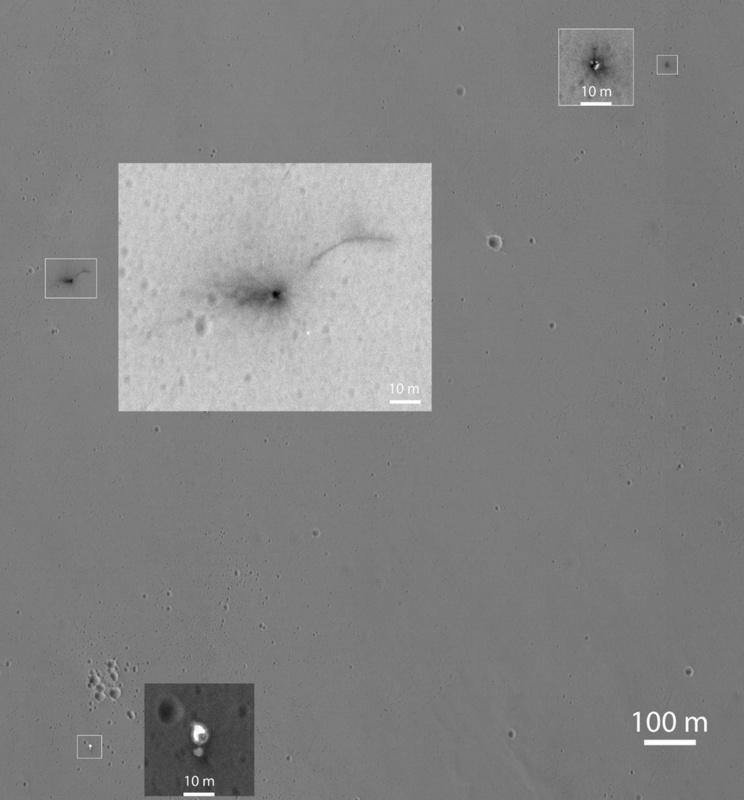 A joint project between the ESA and Roscosmos, this two-part mission consisted of the Trace Gas Orbiter (TGO) and the Schiaparelli lander, both of which arrived in orbit around Mars in October of 2016. While Schiaparelli crashed while attempting to land, the TGO has gone on to accomplish some impressive feats. For example, in March of 2017, the orbiter commenced a series of aerobraking maneuvers, where it started to lower its orbit to enter Mars’ thin atmosphere and slow itself down. According to Armelle Hubault, the Spacecraft Operations Engineer on the TGO flight control team, the ExoMars mission has made tremendous progress and is well on its way to establishing its final orbit around the Red Planet. TGO’s mission has been to study the surface of Mars, characterize the distribution of water and chemicals beneath the surface, study the planet’s geological evolution, identify future landing sites, and to search for possible biosignatures of past Martian life. Once it has established its final orbit around Mars – 400 km (248.5 mi) from the surface – the TGO will be ideally positioned to conduct these studies. The ESA also released a graphic (shown above) demonstrating the successive orbits the TGO has made since it began aerobraking – and will continue to make until March of 2018. Whereas the red dot indicates the orbiter (and the blue line its current orbit), the grey lines show successive reductions in the TGO’s orbital period. The bold lines denote a reduction of 1 hour while the thin lines denote a reduction of 30 minutes. Earlier this week, the orbiter passed through the point where it made its closest approach to the surface in its orbit (the pericenter passage, represented by the red line). During this approach, the craft dipped well into Mars’ uppermost atmosphere, which dragged the aircraft and slowed it down further. In its current elliptical orbit, it reaches a maximum distance of 2700 km (1677 mi) from Mars (it’s apocenter). The next step for the flight control team is to use the spacecraft’s thrusters to maneuver the spacecraft into its final orbit (represented by the green line on the diagram). At this point, the spacecraft will be in its final science and operation data relay orbit, where it will be in a roughly circular orbit about 400 km (248.5 mi) from the surface of Mars. As Hubault wrote, the process of bringing the TGO into its final orbit remains a challenging one. With the spacecraft’s orbital period now shortened to less than 3 hours, the flight control team has to go through this exercise 8 times a day now. Once the TGO has reached its final orbit (by March of 2018), the orbiter will remain there until 2022, serving as a telecommunications relay satellite for future missions. One of its tasks will be to relay data from the ESA’s ExoMars 2020 mission, which will consist of a European rover and a Russian surface platform being deployed the surface of Mars in the Spring of 2021. Along with NASA’s Mars 2020 rover, this rover/lander pair will be the latest in a long line of robotic missions looking to unlock the secrets of Mars past. In addition, these missions will conduct crucial investigations that will pave the way for eventual sample return missions to Earth, not to mention crewed to the surface! Mars modern landscape is something of a paradox. It’s many surface features are very similar to those on Earth that are caused by water-borne erosion. But for the life of them, scientists cannot imagine how water could have flown on Mars’ cold and desiccated surface for most of Mars’ history. Whereas Mars was once a warmer, wetter place, it has had a very thin atmosphere for billions of years now, which makes water flow and erosion highly unlikely. In fact, while the surface of Mars periodically becomes warm enough to allow for ice to thaw, liquid water would boil once exposed to the thin atmosphere. However, in a new study led by an international team of researchers from the UK, France and Switzerland, it has been determined that a different kind of transport process involving the sublimation of water ice could have led to the Martian landscape becoming what it is today. The study, which was led Dr. Jan Raack – a Marie Sklodowska-Curie Research Fellow at The Open University – was recently published in the scientific journal Nature Communications. Titled “Water Induced Sediment Levitation Enhances Downslope Transport on Mars”, this research study consisted of experiments that tested how processes on Mars’ surface could allow water transport without it being in liquid form. To conduct their experiments, the team used the Mars Simulation Chamber, an instrument at The Open University that is capable of simulating the atmospheric conditions on Mars. This involved lowering the atmospheric pressure inside the chamber to what is normal for Mars – about 7 mbar, compared to 1000 mbar (1 bar or 100 kilopascals) here on Earth – while also adjusting temperatures. On Mars, temperatures range from a low of -143 °C (-255 °F) during winter at the poles to a high of 35 °C (95 °F) at the equator during midday in the summer. Having recreated these conditions, the team found that when water ice exposed to the simulated Martian atmosphere, it would not simply melt. Instead, it would become unstable and begin violently boiling off. However, the team also found that this process would be capable of moving large amounts of sand and sediment, which would effectively “levitate” on the boiling water. This means that, compared to Earth, relatively small amounts of liquid water are capable of moving sediment across the surface of Mars. These levitating pockets of sand and debris would be capable of forming tje large dunes, gullies, recurring slope lineae, and other features observed on Mars. Through these experiments, Dr. Raack and his colleagues were able to shed light on how conditions on Mars could allow for features that we tend to associate with flowing water here on Earth. In addition to helping to resolve a somewhat contentious debate concerning Mars’ geological history and evolution, this study is also significant when it comes to future exploration missions. The study was co-authored by scientists from the STFC Rutherford Appleton Laboratory, the University of Bern, and the University of Nantes. The initial concept was developed by Susan J. Conway of the University of Nantes, and was funded by a grant from the Europlanet 2020 Research Infrastructure, which is part the European Union’s Horizon 2020 Research and Innovation Program.